Kotobukiya Spider-Man ArtFX+ Statue | Nerd Much? It’s no secret that Kotobukiya has a ton of great-looking, high-quality statues (our favorite so far being the X-Force Deadpool Statue), and they’ve run down the list of the top superheroes and video game characters to create their own, highly detailed statues. Now, Kotobukiya has announced that their newest entry is The Amazing Spider-Man ArtFX+ statue, the first in a new series. 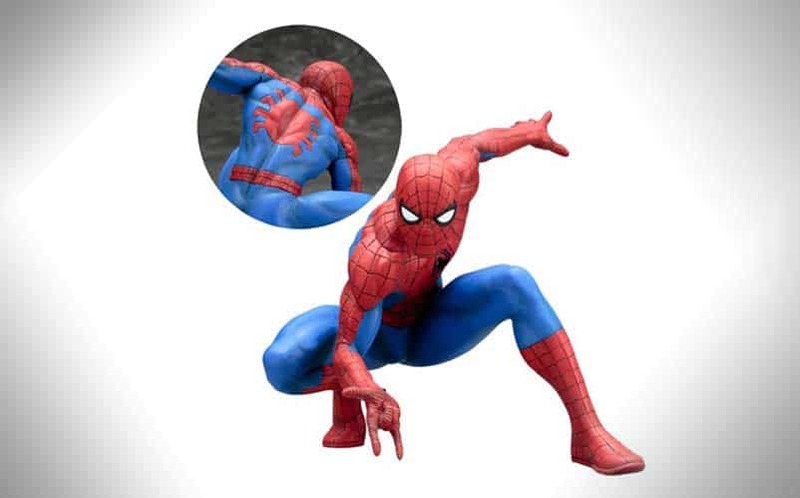 The statue uses Spidey’s classic blue and red costume with black webbing from The Amazing Spider-Man, and the statue is a 1:10 scale figure. It’s posed in a crouch position. The statue also has magnetic elements within for stability, so that it doesn’t fall over easily. Especially with the announcement of Insomniac’s Spider-Man game at E3, Spidey is at the forefront of our minds. Unfortunately, you’ll have to wait all the way until January 2017 to have one in your home or office, although it’s available now for pre-order at Entertainment Earth for $59.99.